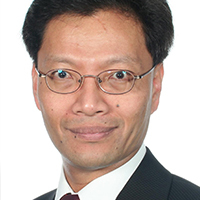 Since graduating with a postgraduate diploma in management from Melbourne Business School, Ben Lee held a number of management positions in Australian casinos before being appointed vice president of Casino Projects, where he was involved in the development of casinos in the Philippines and Macau. He later became advisor to Harrahs Entertainment Group on the firm's Asian business development, then vice president of casino marketing for Venetian Macau and afterwards Asian gaming consultant to luxury resort operator Baha Mar and cruise trip operators Royal Carribbean International. Today he is considered an expert on the Asian gaming market, is a regular speaker at gaming conferences and is the managing partner of Macau-based consultants IGamiX Management and Consulting.